Jin Soon Choi isn’t only one of the nicest people you’ll meet backstage at Fashion Week, she’s also a genius when it comes to creating manicures that are cool and contemporary, but at the same time incredibly chic. For fall, the nail artist has collaborated with designer Tess Giberson on a collection of five polishes that put a luxe new spin on classic colors like silver, black and purple. Each of the shades in the collection has a subtle, shimmery finish that makes the hue completely unique. 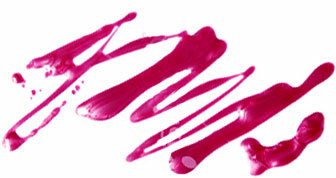 Pastiche is an apricot with a pink shimmer; Mélange, a siver with dark gray speckles. Nocturne is a dark gray metallic black that’s leaps and bounds more sophisticated than flat black polish. Farrago is a sparkling aubergine accented with gold, and my favorite shade, Heirloom, is a metallic deep turquoise that looks different depending on the light. 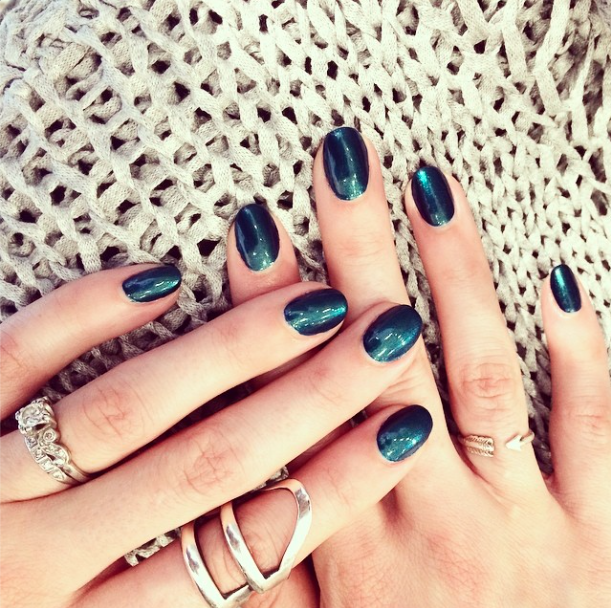 Jin Soon takes the best nail photos; she snapped this one of my fingers wearing Heirloom. The process of creating the shades mirrored Giberson’s inspiration for her fall ready-to-wear collection, in which she updated timeless sportswear silhouettes with new fabrics (think baseball dresses detailed with sequins and Fair Isle sweaters woven with metallic thread). After all, what’s better than a new take on a familiar favorite? 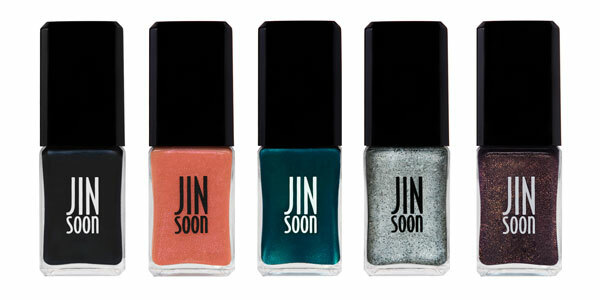 The JINsoon Tess Giberson polishes ($18 each) will be available later this month at jinsoon.com and select Sephora, Barneys and Space NK stores.